Reporting element in test automation framework plays an important role. The success of a test automation framework and its survival depends on how effectively reporting mechanism is implemented. To transfer the information from the development team to the customer/business team, a detailed and interactive report of test case is required. There are various reporting libraries that an automation framework designer can use for the reporting component. One of them is the Extent HTML Report, which provides beautiful, detailed and interactive report of automated tests. It is an interactive reporting mechanism which can be integrated with a Selenium test automation framework. Interactive – an interactive HTML format report with a lot of UI widgets. Integration Support - can be configured with Java(JUnit , TestNG) and .Net(NUnit) test automation frameworks. Detailed Information - provides detailed information of the test cases including the details of the failure test cases. 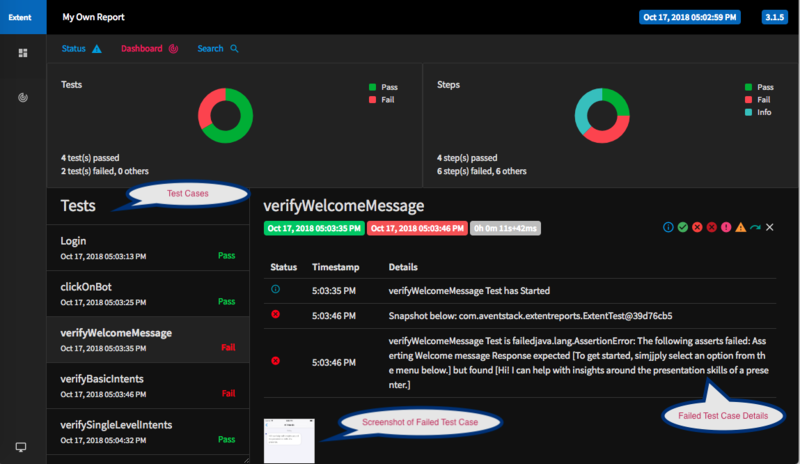 And that’s how you can create interactive and detailed automation test case reports. 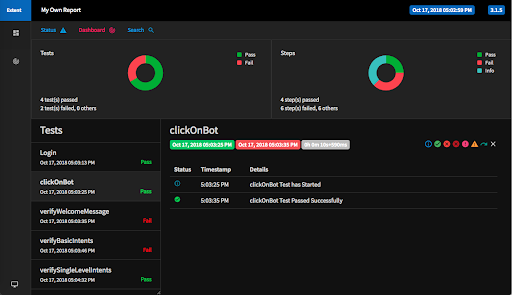 Do you have some other tips and tricks for presenting automation test reports? Don’t forget to share them in the comments below. Comparing the most prevalent open source and licensed tools used for mobile test automation.